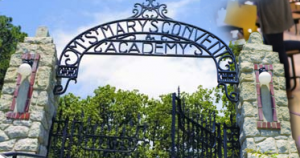 The Human Rights Campaign, the nation’s largest lesbian, gay, bisexual, and transgender (LGBT) civil rights organization, is calling on Mount St. Mary’s Academy in Little Rock, AR to immediately cease discriminatory employment practices targeting their LGBT teachers. Yesterday, Tippi McCullough, a teacher at Mount St. Mary’s, traveled to New Mexico to marry her partner of 14 years, Barb Mariani. According to Mariani, shortly after their wedding ceremony, a secretary at the school called Tippi and said that if she got married she would be fired—telling her that she was calling her for her own protection. Later, a second call came from the school principal, who, upon confirming Tippi had married her partner, purportedly told her, “I never thought this day would come, but I have to terminate you,” and that Tippi could resign to avoid being publicly fired. So that readers are clear, Mount St. Mary’s is not a suburban school. It’s an old school in the middle of one of the most fun, open-minded, cultured parts of Little Rock, and I have several friends who are esteemed alumni of the school. This is not Backwoods Southern Baptist Academy we’re talking about. Mount St. Mary’s just stepped in it. Big time.